Does anyone know what Mitral Valve Prolapse is? Of course, today one can just search the Internet for the phrase. Regardless of what it is, I was born with it. Apparently, it runs in the family. The most prominent symptom is a “flutter” in the heartbeat. Sometimes I can go weeks without any symptoms, but other times, like at present, my heart seems to flutter almost non-stop. Yes, I will finally call a cardiologist today. My interest in automobiles was the lowest it had ever been and ever would be. After having my Goat wrecked due to no fault of my own, I thought that maybe basic transportation, a vehicle in which I would not have an emotional investment, would be the best course. 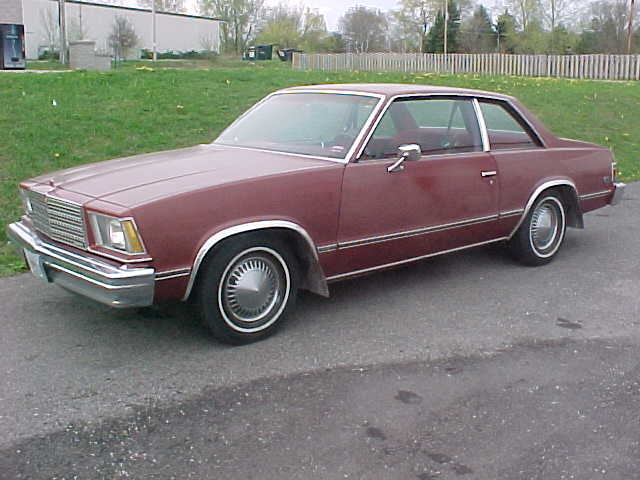 My Malibu was tan with a landau roof. Do you know what that is? A landau roof, in the context of cars built in this time period, is when the rear section of the roof is covered in vinyl, which is often textured. That roof treatment was common in the 1960s and 1970s. I drove the Malibu for more than five years, during which time it was reliable transportation if nothing else. After landing my first full-time baseball job, I traded the Malibu in for my first new vehicle and the first car that I bought completely with my own money. That’s another story for another post. That was a beautiful car before that.